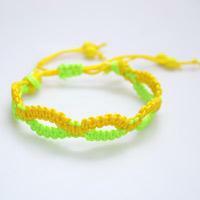 Here I would like to introduce a video tutorial on making wax cord friendship bracelet. 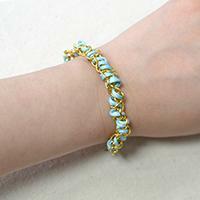 This article gives a brief tutorial on how to make thread and chain bracelet step by step. This is a good try for beginners. 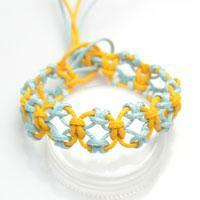 This is a tutorial on how to make thread friendship bracelets. 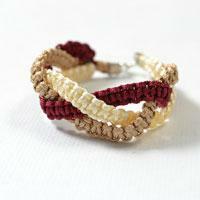 With nylon threads in 3 colors prepare, let's begin our square knot bracelet instructions. 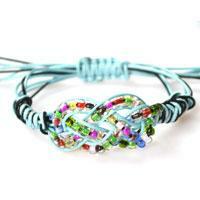 This is one part of various tutorials on how to make bracelets with thread and beads. 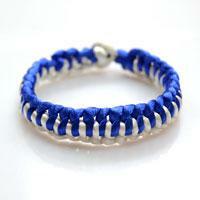 In this inspiration, you’ll gain an extremely easy way on making thread and bead bracelets! 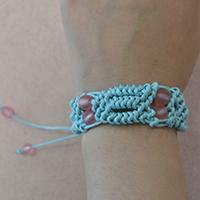 In the summer friendship bracelet pattern, steps on how to make easy braided friendship bracelets have been elaborately showcased. 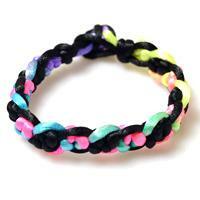 Let’s braid a cool friendship bracelet for each other! 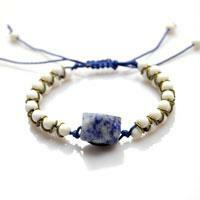 A handmade bohemian style bracelet is to be showed in the tutorial. 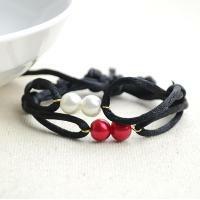 If you want to attract attention, bohemian bracelet is a good choice for you. This thread wrapped bangle involve with square knots and it is the feature of this wrapped bangle. 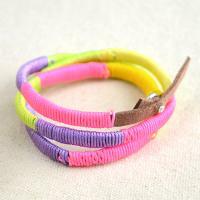 You can do some more bangles with differnt color thread, and wear as stacked style bangles. 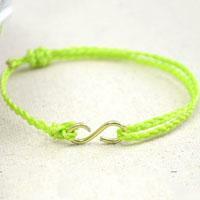 This tutorial will show you a new friendship bracelet pattern – yellow and lime alternate infinity pattern. 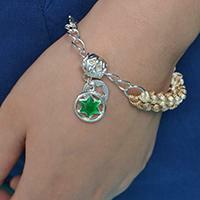 Click to know the details of this bracelet pattern. 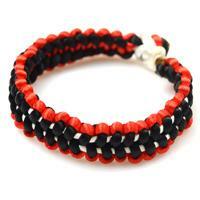 Wondered a novel way of making bracelets with string and beads? 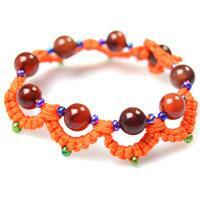 Here, you’ll be taught to make a bracelet with 2 strings, 32pcs 4mm seed beads and 30pcs jumprings! Fun and easy!